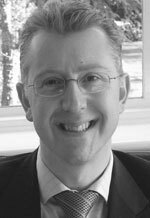 Mr Offer is a Consultant Plastic Surgeon at Leicester Royal Infirmary and runs a comprehensive, professional and personal private cosmetic surgery service at Nuffield Health Leicester Hospital. He undertakes facial reconstruction, breast augmentation, including gynaecomastia, rhinoplasty, blepharoplasty, ear pinning, facelift, MACS facelift, body contouring, abdominoplasty, liposuction, body lifts, arm and thigh lifts, hand surgery, skin grafts and skin cancer removals. Mr Offer has a specialist interest in all forms of cosmetic breast surgery especially breast enlargement, uplift, reduction and complex revision surgery. Mr Offer recently appeared on Channel 4's Embarrassing Bodies (September 2011). Mr Offer is actively involved in plastic surgery research in both cosmetic and reconstructive breast surgery. He lectures and publishes in peer reviewed journals in the UK and overseas. Mr Offer was awarded the Kay-Kilner Prize by the British Association of Plastic Surgeons (BAPS) for his work on evidence based plastic surgery.